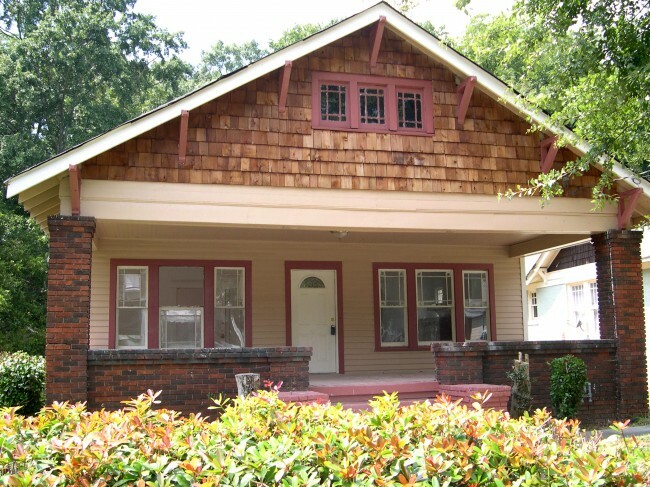 “Westview Bungalow” is our first house…and one we plan on staying in indefinitely! After a number of years of renting we decided it was time to get our own place – where you can put a nail in the wall without worrying about what the landlord is going to say. So in 2006 we started our search for a place to call “home”. Although both of us grew up in unincorporated Atlanta, we had been renting in the City of Atlanta ever since we moved in together…and that’s where we wanted to stay. The last place we rented was in an old hardware store converted into a loft located on Donald Lee Hollowell (formerly known as Bankhead – as in “Bankhead Bounce“) near the quickly redeveloping Midtown West area. We liked the location and started looking at the closest single-family home neighborhood, Howell Station. In 2006 the market was still going strong, so we quickly encountered the problem that every house we fell in love with was immediately under contract. As picks were growing slim we ventured on to the east side of town. Reynoldstown, Edgewood, Cabbagetown, East Atlanta, Ormewood Park… they all had cute houses, but either were out of our price range, or already had 5 offers on them. The summer months were slipping away and we were getting more frustrated and hopeless with our home search. There was only one place left to look… the southwest side. We came equipped with a list of houses to look at in West End and Westview. We were on our way to a house in Westview when we passed our (now) home, which was not on our list. The “For Sale” sign drew our attention to this cute bungalow and we had to peek inside. Needless to say we fell in love and our search came to an end when we bought our house in September 2006. And the rest is, of course, history! Originally the blog was only focused on the renovation of the house, but as time has passed it has morphed to also include a lot on gardening, cooking, day trips, happenings in our neighborhood and more. This is how we found the house in 2006. Vacant, open, and beckoning us!